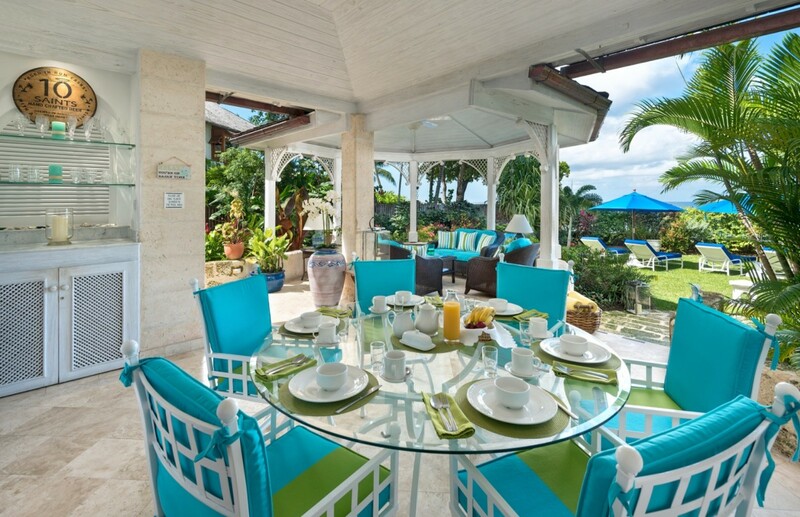 One of only six upscale villas set directly along the sands of Gibbs Bay beach on Barbados, Villa Emerald Beach 6 is ideal for groups of friends or large families. 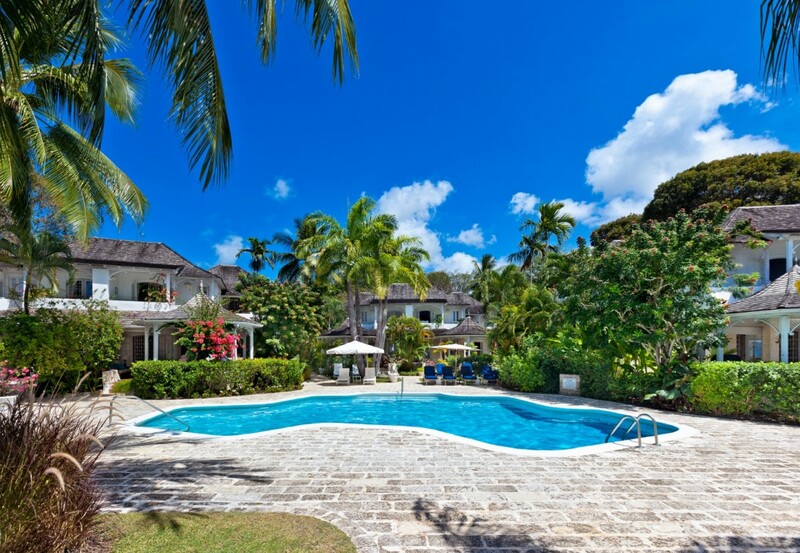 A perfect balance of indoor and outdoor living spaces, the villa is part of a private community with a large saltwater swimming pool and garden in the center. 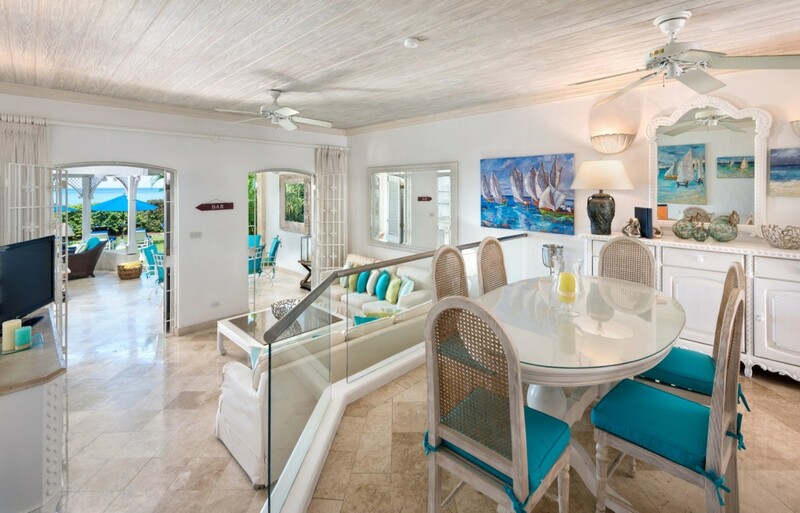 Completely private and dotted with sun beds and al fresco dining areas, it is a wonderful retreat. 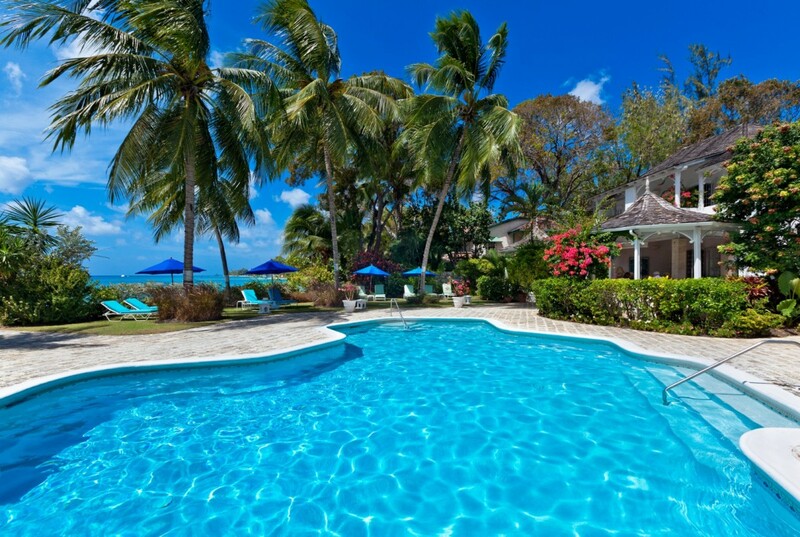 The beach, just steps from the gardens is accessed via a private path and a short distance from Speightstown and Holetown as well. At the front of the villa, you find several outdoor spaces beneath gazebo-like verandahs. A cozily furnished lounge area includes brightly upholstered sofas and chairs and nearby is the al fresco dining spot. Just a few steps takes you to the garden or back indoors where you enjoy the comforts of your sunken lounge area. A banquet sofa and chairs make this a great gathering spot for late night conversations or movies, and just above is the dining room. A more formal space, it looks out over the lounge and the arched doorway to the terrace. It also opens directly into the modern, gourmet kitchen. 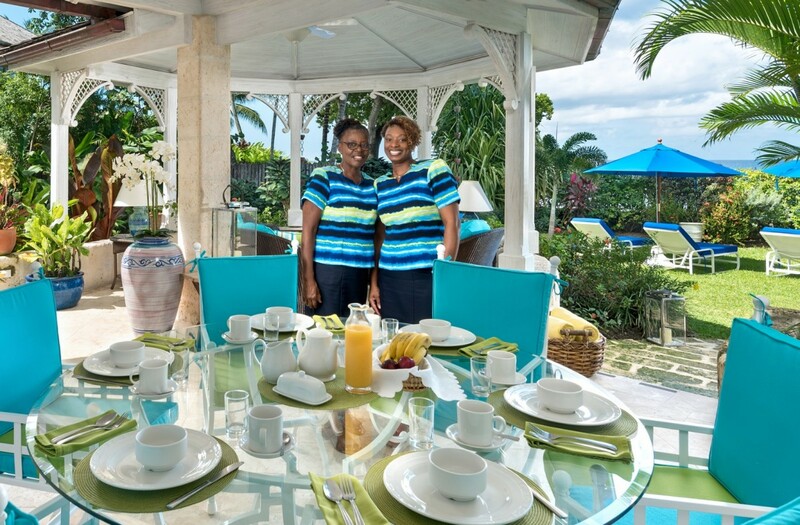 Unlike many villas, this villa has a full staff that includes your own cook as well as maid services. Spend time preparing drinks and snacks, though, as the open-air plan allows you to enjoy the views from all angles. 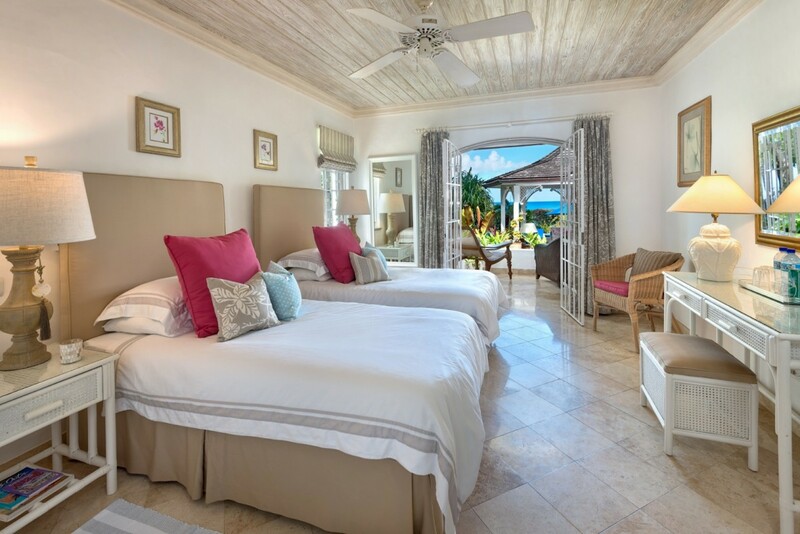 There are three large and luxurious bedrooms in this villa. Each has a private, en suite bathroom, with two on the upper level. 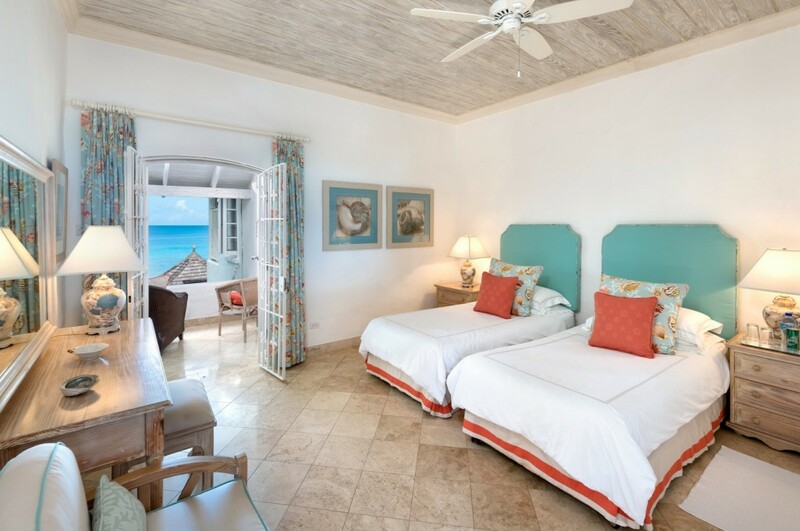 They have private balconies, and the third, lower level bedroom features private terrace access. 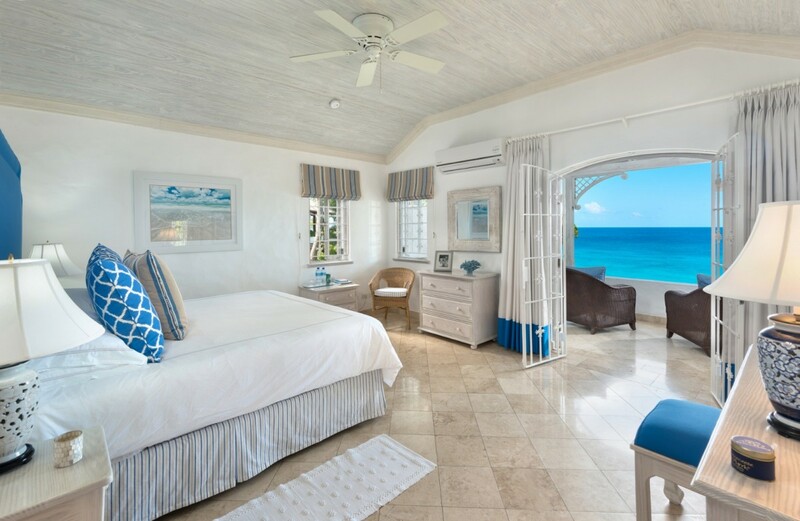 Tucked into a private and exclusive community directly on the white sands of Gibbs Bay, Villa Emerald 6 is a wonderful place for a Caribbean getaway.